His Holiness the Dalai Lama's public talk given at Delhi University in New Delhi, India, on March 22, 2012. Keep your courageous head up, for my dignity. I started to make the film when the number of tibetans who set themselves on fire was 39. at the moment I exported the finished video, it was exactly 100. Golok Tulku Sobha Rinpoche set himself on fire on January 8, 2012. He left a taped message asking Tibetan people to unite for free Tibet. Here is his voice. Over 200 members of Tibet Support Groups from across the world attends the three-day meeting to strengthen efforts to deal with the urgent and grave situation in Tibet. 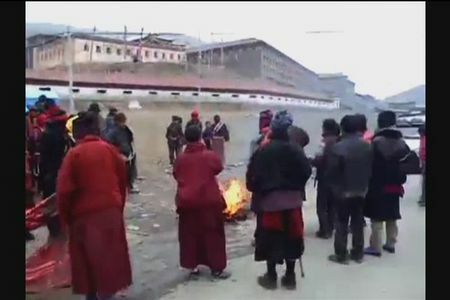 In the last year, nearly 50 Tibetans have died after setting themselves on fire in protest at Chinese rule and we have rare footage of what is happening there, but be warned this story contains disturbing images. 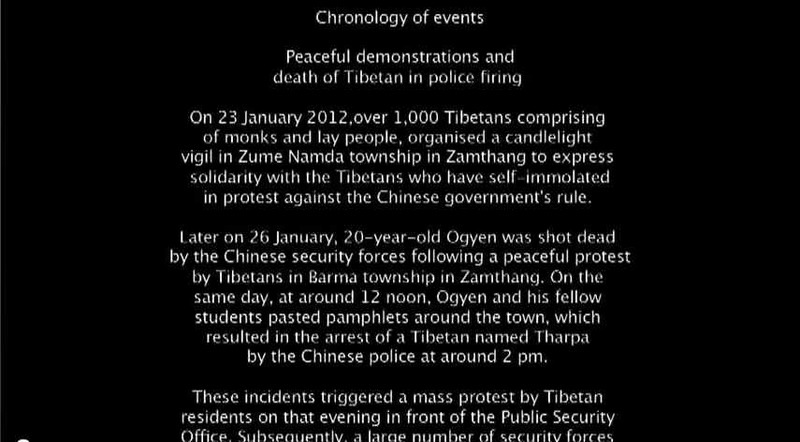 What's China doing in Tibetan? Dr. Sangay gave a frank assessment of the current state of affairs in Chinese occupied Tibet. On October 12, 2012, Tibetan Prime Minister Dr. Lobsang Sangay spoke at UMN Law School as part of a two-day visit to Minnesota. A young man set himself on fire on a street in New Delhi to protest against the visit of Chinese Premier Hu Jintao.